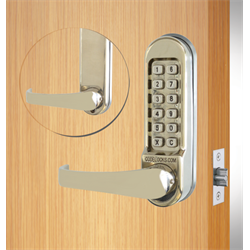 Codelocks CL500 series locks are heavy duty mechanical door locks with full size lever handles providing single code access control. 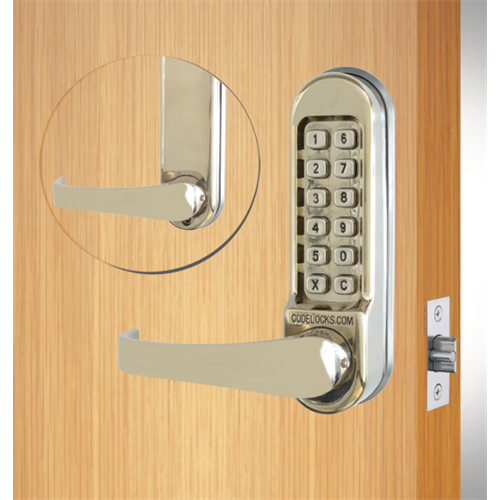 The latch is moved manually from outside after entering the correct code and will automaticaly lock when the door is closed and can always be unlocked manually from inside. CL515 version includes 'Code Free' Button allowing the user to temporarily enable free passage.